"It's a magical life." Echo Bridge has debuted an official trailer for a small-town holiday comedy film titled Pottersville. This looks like the wackiest, straight-to-cable-TV Christmas comedy in, well, a long time. The only reason we're featuring it here is because it actually has an interesting cast. Michael Shannon stars as a struggling shop owner who is mistaken for Bigfoot when stumbling around drunk late one night. This brings attention to the town, in turn helping the local businesses. The rest of the cast includes Judy Greer, Tom Lennon, Ron Perlman, Christina Hendricks, and Ian McShane. I honestly don't even want to suggest watching this trailer, but at least it won't take up more than two minutes of your time. Try to enjoy. 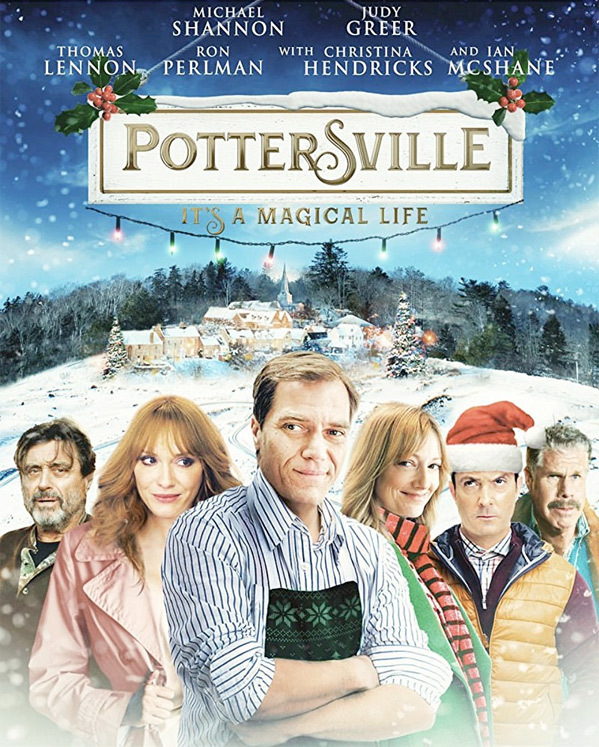 It's a long cold winter in Pottersville, and struggling store owner Maynard (Michael Shannon) is hit by hard times. During a late-night drunken wander through town, Maynard is mistaken for the legendary Bigfoot, setting off an international media spectacle and attracting a lot of much needed business for the town. When TV’s ‘Monster Hunter’, Brock Masterson, (Tom Lennon) turns up and joins the Sheriff (Ron Perlman) in his hunt for the beast, Maynard must maintain the illusion to protect the rebirth of his beloved town. Pottersville is directed by filmmaker Seth Henrikson, making his feature directorial debut after a few shorts previously. The screenplay is written by Daniel Meyer. This hasn't played at any film festivals. Echo Bridge will release Pottersville in theaters starting November 10th this fall. If anyone is interested?